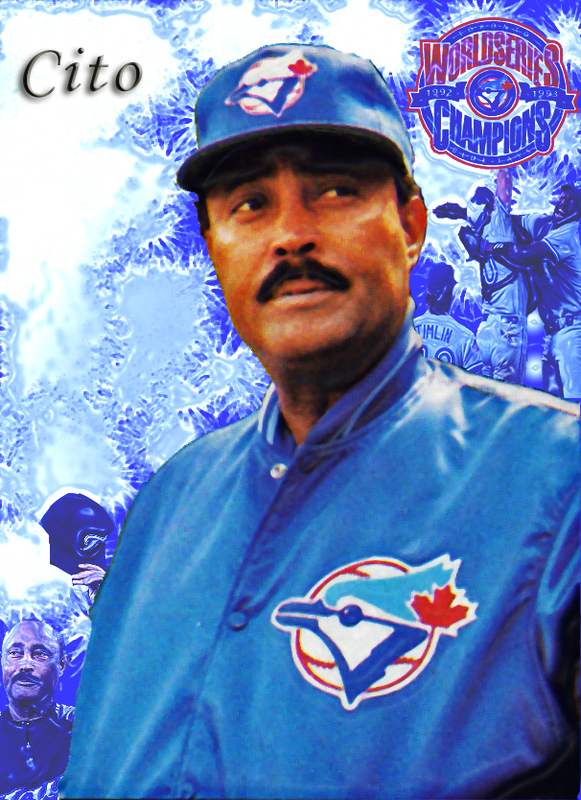 since Cito was replaced in 1997. They found a well respected man in John Farrell, and he seems up to the challenge. Cito began in professional baseball playing 11 years (1967-1978) with the Braves, Pirates and Padres. Gaston in a part-time role off the bench. then he’d return again to manage from 2008-2010.
game, was definitely influenced by the Weaverian era. four ALCS appearances (1989, 1991, 1992, 1993) and two World Series in 1992 and 1993.
all pieces in place to make it easier for him. didn’t,” he’d always say. Cito maintained to be a student of hitting. became his ‘mantra’ in his comeback to Jays after an 11-year absence. upon Cito’s return, still falling short of the playoffs, but able to gather a few respectable MLB season records. of the game, and like to strategize, crunch numbers and play matchups? replace the years that he contributed to in the early 90s. It was a flawed marriage, but I’d challenge you to prove one that isn’t? Even though I would have, I wouldn’t have had the Jays managed any differently. Cito this design is for you. What he is most known for is the ‘never waste any of your 27 outs’ and ‘wait for the 3-run homerun’ approach to managing. Weaver did not believe in small ball, he saw it as a pure waste. His style of coaching would have a large impact on the American League for years to come, becoming the standard by which most AL teams have been managed for a number of years. It worked. Only once in 17 seasons did the Orioles finish below .500 under Weaver. There was actually a time, believe it or not, that the Kansas City Royals and the Baltimore Orioles were the class of the American League. At this time Weaver’s strategy was challenged by a fast and defensive minded Kansas City team that could run balls down in their large outfield. Weaver admired the Royals for this style of play, but he realized that his team was not built to play like that. His team relied players to merely get on base to compliment his sluggers such as Eddie Murray, Frank Robinson and Boog Powell. Weaver would conclude that every team needs to adapt their lineup to the ballpark in which they played. This idea is extremely prevalent in modern day baseball when look at teams like the 2010 champion San Francisco Giants on one end and the current New York Yankees on the other. No Weaver post is complete without talking about his on field antics, of course. Weaver held the record for manager ejections with 97, until it was recently broken by Bobby Cox in 2007. It is safe the say that Weaver’s ejections were the most flamboyant in the game. He is a now YouTube sensation, in that respect. He once ripped apart an entire rule book in front of an umpire and forfeited a game in Toronto because he felt the Blue Jay bullpen tarp was unsafe for his left fielder. As General Manager are gaining more power in terms of how a team is constructed and run. And the ‘wait for the 3-run homerun’ approach fading in popularity. I wonder if a manager like Weaver would still be able to succeed in the game today? 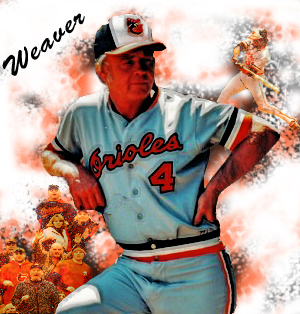 Regardless, the game owes a lot to Earl Weaver, so I made a design honoring Weaver. I tried to make it in similar fashion to the Madden 11 cover.